Of them beware - keep your distance, What happens to them is none of your business. But talk to one, and oh you'll see, Themselves no more, will they be. What group of people are they? Strangers. Usually you don't associate with them/stay away from talking to them, but if you talk to one, and get to know them, they are no longer strangers. What group of people are they? 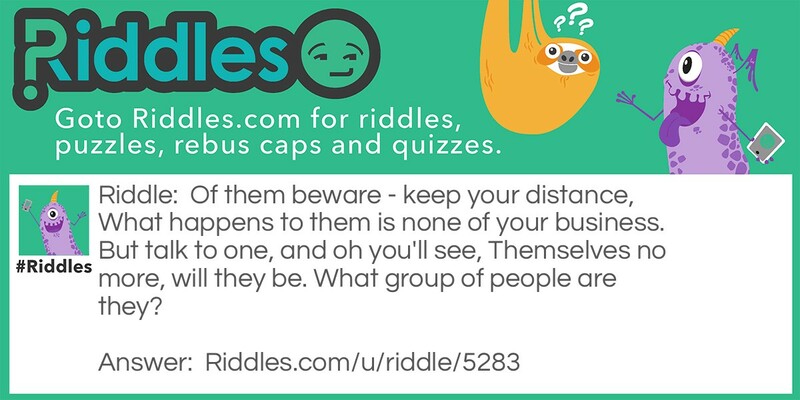 (Rhyming Riddle) Riddle Meme with riddle and answer page link.